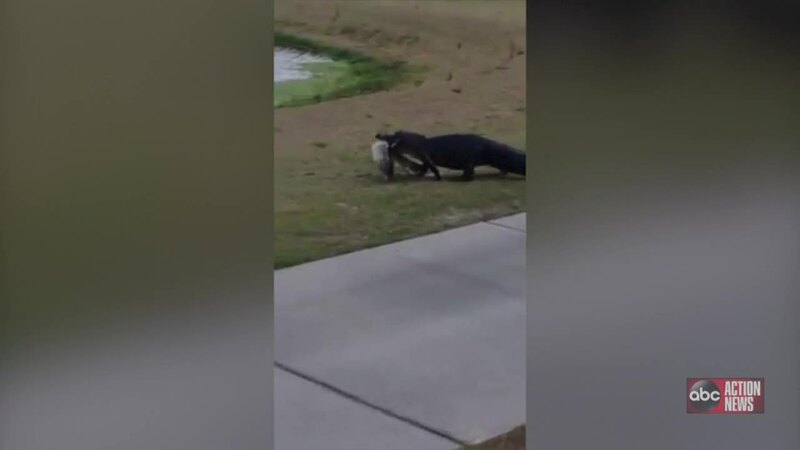 A Safety Harbor, Florida, woman was shocked to find an alligator carrying a huge fish across a golf course while she was golfing with family. Norma Respess had family in town from North Carolina and was enjoying a round of golf Thursday afternoon. Her brother and sister-in-law were with her and a friend at the Seven Springs Golf and Country Club in Trinity. While on the 10th hole, Phyllis Respess found herself in the bunker, when all of a sudden, her husband Nolan shouted "look behind you, look behind you!" Phyllis threw the club up in the air and ran. Meanwhile, Norma ran to grab her phone. That's when she captured video of the amazing sight. 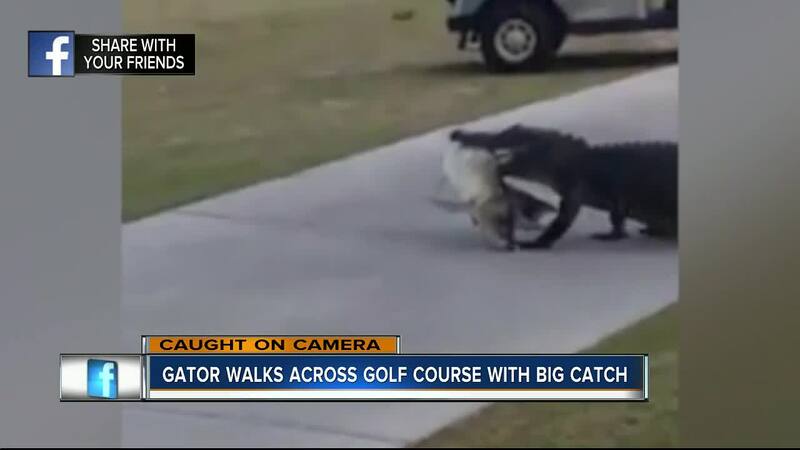 "I've seen gators that big before, but never anything like that," she said.